Chinese women's footballers hope to apply what they have trained to practice at the annual Algarve Cup women's soccer invitational tournament. "I have not been in the team for a while, so it's a test for me to show what I've trained over the past months," striker Wang Shuang, currently playing for French club Paris Saint-Germain, told Xinhua here on Tuesday. For defender Wu Haiyan, the Algarve Cup offers an opportunity to display the team's training level, even some potential problems inside, to better prepare for the FIFA Women's World Cup less than four months away. "It's a dream for every women's footballer to stand on the World Cup stage. We need to make full preparation in the final phase before that," Wang pointed out. "I think it's a dream for every footballer to win the world title. After having been in low ebbs for some period, the team wants to show something, either in terms of result or mentality," Wu commented. China, placed 15th at the FIFA Rankings, will face Norway and Denmark in group stage at the annual tournament featuring 12 teams, with debut at the 2019 edition against Norway on Friday. The Chinese footballers aim at fully displaying themselves in group matches against strong rivals both from northern Europe. "We want to put everything that our coach has emphasized into matches at the Algarve Cup. The team has been training for several months, and we are familiar with what our coach has told us. It's a great opportunity for us to give it all," Wang said. "Rivalry with those strong opponents will make us better aware of problems inside, also displaying ourselves better in the match," Wu stated. The 2019 Algarve Cup will kick off on Wednesday, just 100 days ahead of the World Cup in France. 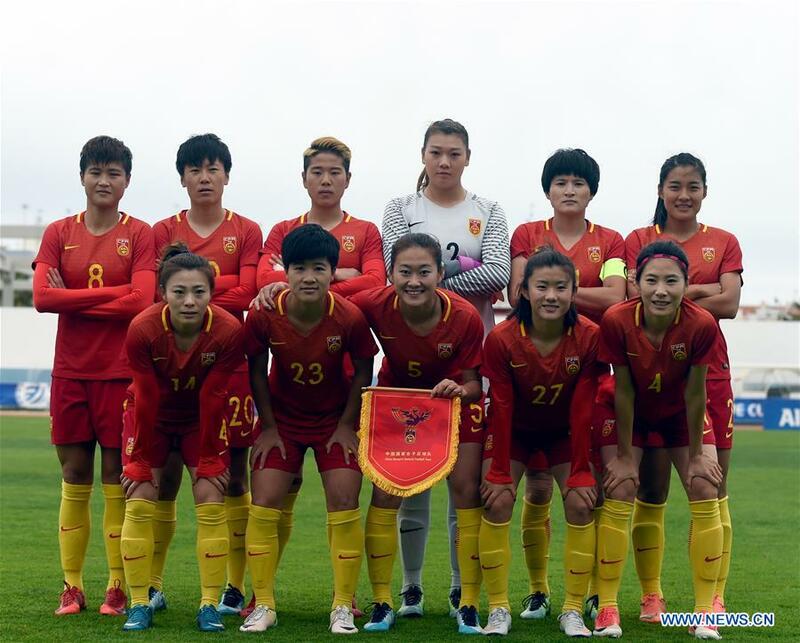 China is placed along with Germany, Spain and South Africa in Group B at the quadrennial biggest women's football tournament of the world.